Award of Excellence recipients pose with NIDA International Program Director Steven W. Gust, Ph.D. From left are Dennis McCarty, Ph.D., Oregon Health & Science University; William L. Dewey, Ph.D., and Charles O’Keeffe, M.B.A., Virginia Commonwealth University; Dr. Gust; Marek C. Chawarski, Ph.D., Yale University; and Vicknasingam B Kasinather, Ph.D., Universiti Sains Malaysia. Excellence in mentoring, to Dennis McCarty, Ph.D., Oregon Health & Science University, for his work with the United Nations Office on Drug Control TreatNet program, the Peruvian National Institutes of Health, colleagues in Vietnam, and as scientific director of the Dutch Summer Institute on Alcohol, Drugs, and Addiction. Excellence in international leadership, to Charles O’Keeffe, M.B.A., Virginia Commonwealth University (VCU), for his work on U.S. and international drug policy, securing approval for buprenorphine, and creating the International Programme in Addiction Studies, an online master’s degree program. Excellence in collaborative research, to Marek C. Chawarski, Ph.D., Yale University, and Vicknasingam B Kasinather, Ph.D., Universiti Sains Malaysia, Malaysia, for their work developing culturally appropriate prevention and treatment interventions for co-occurring opioid and amphetamine dependence and drug-related HIV in Malaysia. 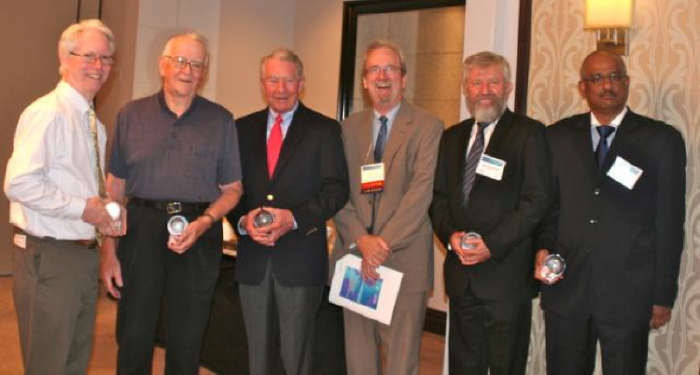 Special Recognition to William L. Dewey, Ph.D., VCU, for his significant scientific accomplishments and his devoted service to the addiction research community.